Los Angeles’ Stone Canyon road snakes through the hills of the Bel Air, providing uniquely rustic settings for relaxed living. Today’s home is a shining example of the modern farmhouse aesthetic that is popular in the city. The home’s classic white brick exterior opens to reveal a heart of pure modernism with clean lines and open space. The new six-bedroom home was designed for entertaining with living room and dining room spaces that open directly out to the private backyard with a pool. A full bar and glassed-in wine room form a grace note that gives the residence an added sense of grown-up glamour and style that speaks of a bygone era. 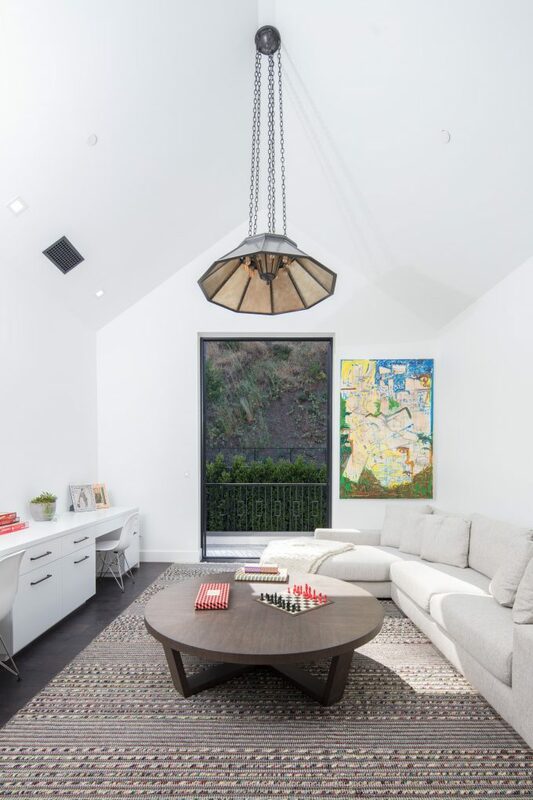 The home’s pitched roofs and high ceilings provide clean and angular spaces that are the perfect framework for art. Plenty of windows and open doors provide a sense of being in tune with nature. The rambling floorplan provides for spaces that imbue a sense of calm and bliss. 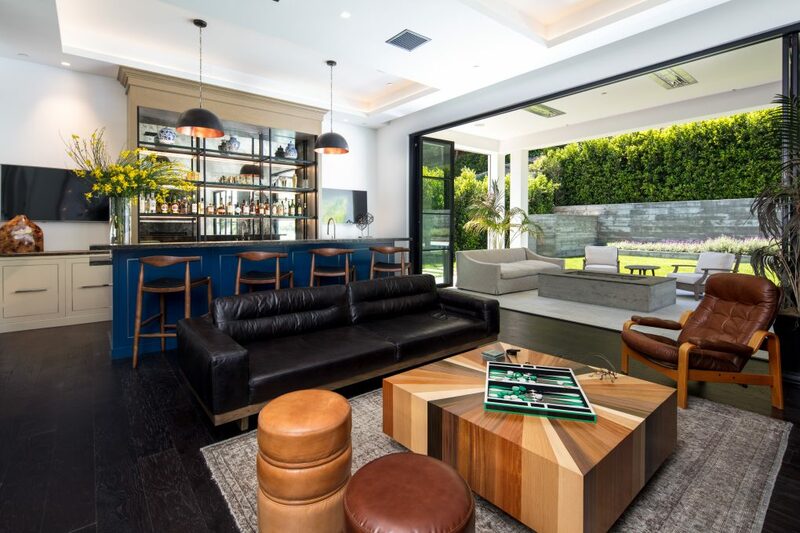 Notable design firm Hancock Design crafted the interiors with a sense of laidback swagger that suits the modern Los Angeles lifestyle. The home has over 9,000 square feet of space. The swimming pool features LED color-changing lights and there is an outdoor barbecue. Additional features include a smart home system that controls the alarm, security camera, house temperature, speakers, pool, lighting, fireplaces, fire pits and front gates. The property is listed with Aaron Kirman, President of Aaroe Estates, the luxury property division of John Aaroe Group, and Drew Fenton with Hilton and Hyland for $13.3 million.